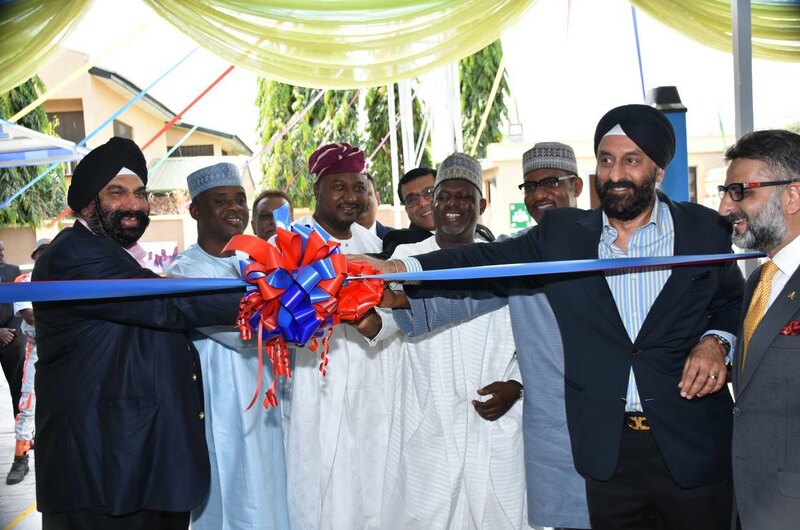 Infinity Tyres Limited, one of the foremost and distinct industry leaders by far in the automotive aftermarket sales and services in Nigeria, proudly launched its new retail facility in Abuja on 19th February 2018, in the presence of Mr. Abhay Desai, COO Daily Trust, Mr. Aliyu Akoshile, Associate Director Daily Trust, Mr. Aminu Jalal, Ex DG NAC, Mr. SN Abubabkar (MFR) Executive Vice Chairman, Brentex Petroleum Svcs Ltd, Engr Muftau Salawu, Chairman Opinior Engg Company Ltd, Mr. Surender Singh Kandhari and Mr. Arshdeep Chadha, Directors of Infinity Tyres Limited, Mr. Vineet Mathur, Col. Aloke Dutt, and other officials of Infinity Tyres Limited. This is the second facility in Abuja, located in the upmarket Gwarinpa residential district. The uniqueness of this center lies in the fact that it is the first ever solar powered service station in Nigeria. The Gwarinpa centre will provide services such as tyre changing for a variety of tyres, wheel balancing, wheel alignment, nitrogen air filling, steam cleaning and detailing of car interiors. Leading global tyre brands such as Pirelli, Goodyear, Ceat and Infinity will be made available to customers, as well as batteries from Exide and Nova, and Infinity branded spare parts, coolants and battery terminals.